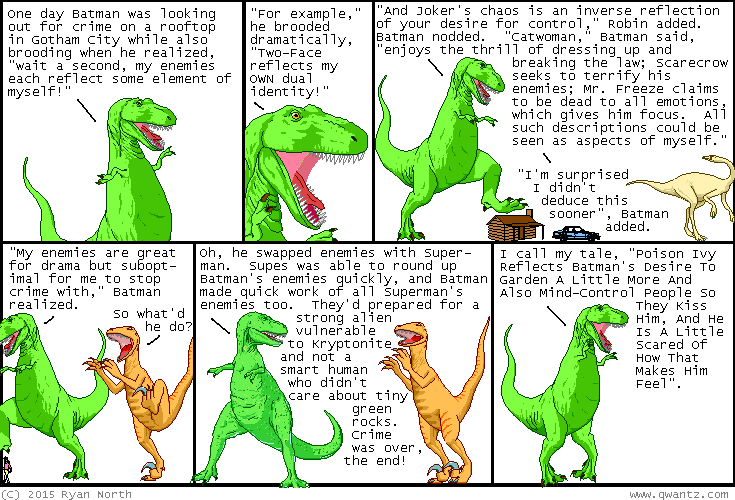 Dinosaur Comics - November 6th, 2015 - awesome fun times! November 6th, 2015: I think about Batman a lot, you guys. NO REGRETS.